ISRAEL - JUST THE FACTS: Here Is Grandma Settler's Prediction About The Bombshell Abbas Threatened To Drop At The U.N. Here Is Grandma Settler's Prediction About The Bombshell Abbas Threatened To Drop At The U.N.
Abu Mazen is no stranger to bombshells or bombs, but his latest statement has everyone speculating about the show he is expected to perform at the U.N.
For those of you who have not been following this story, let me bring you up to date. Abu Mazen (Abbas), who is the current Chairman of the Palestinian Authority, threatened two weeks ago to step down from his position. I guess Abbas expected his threat to make waves in the press, but considering this is his fifth time threatening to step down, he is now known as the little boy who cried wolf and no one took his announcement seriously. What Will Abbas Do For Attention? Abbas is expected to speak at the UN General Assembly on September 29th. The last time the PA Chairman visited the UN, he failed terribly as he tried to get the UN to accept Palestine as a State and let's just say - close, but no cigar. With the Palestine State declaration failure, every political analyst is playing the guessing game as to the new "bomb" Abbas has threatened to drop on the U.N. (Sorry, the pun was just too funny to pass up). Some contemplate he will announce the cancellation of the Oslo Accords. If he does, I for one will celebrate! The Oslo Accords are the biggest farce of a peace deal and has caused thousands of deaths. The only thing the Oslo Accords did was give radical Muslims a fake national claim to parts of Israel. Go ahead Abu, cancel away! Others believe he will be announcing his resignation from the Palestine Authority....*Yawn. A good friend of mine stopped over at my house on Shabbat afternoon with his family and his mother. "Abbas is going to say he accepts Israel as the Jewish State and proclaim he is willing to negotiate a full and extensive deal based on the 1967 borders." I have absolutely no inside information about what Abu Mazen's plans are for the UN speech and from what I hear, neither do his closest aids, BUT, what Grandma Settler said makes perfect sense! 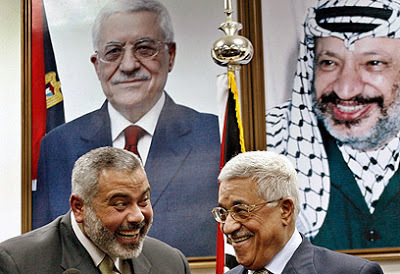 Abbas is walking the same path as his predecessor, arch terrorist, Yasser Arafat. Arafat proclaimed time and time again that he recognized Israel's right to exist while he continued to preach terrorism against Israel and continued to support radical Jihadist's war against Israel and in response, he was given the Nobel Peace Prize. Abu Mazen is about to do the same thing! After writing his doctorate on Holocaust denial and constantly stating he will NEVER recognize a Jewish State, Abbas will now drop a "bombshell" that he himself designed. 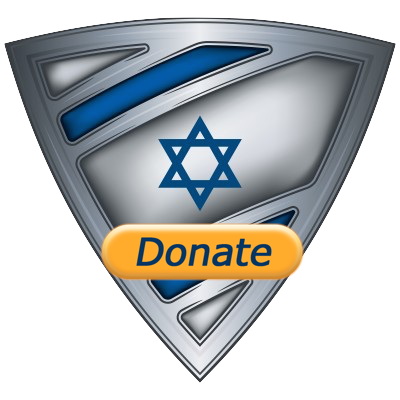 See, Abu Mazen has been such a rabid racist, terrorist and anti-Semite for most of his life that when he makes a statement that he recognizes the Jewish right to LIVE, the world will applaud and place him on a pedestal - a man who was the brains, backbone and financial sponsor for the 1972 Munich Olympic massacre of 11 Israeli athletes. Just in case this is the "bombshell" Abbas is planning, let's get some things straight. 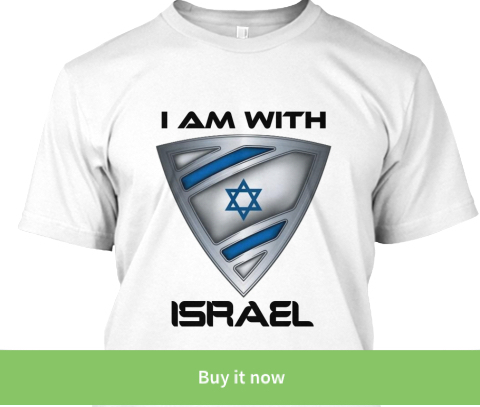 Israel does not need the permission of an Islamic terrorist to exist. Abbas coming to terms with the reality that Israel exists and is a Jewish State is not a bombshell, it's a fact. Now let's take a look at the second part of the "bombshell". Abbas is willing to accept a deal that is based on the 1967 borders? 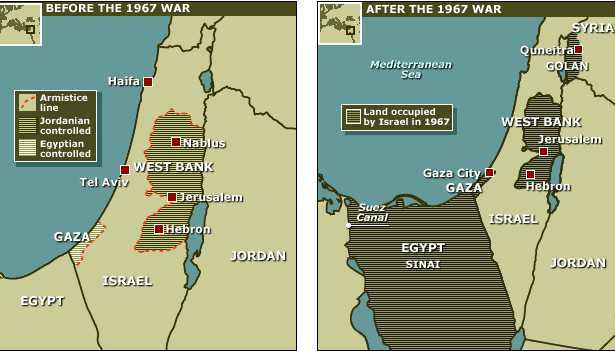 First of all, there are no 1967 borders and second, it has absolutely nothing to do with Abbas or the Palestinians. Take a close look at the first map, do you see Palestine? NO! You see the Jordanian, Egyptian and the 1948 Armistice lines. What do the 1967 lines have to do with Palestinians? 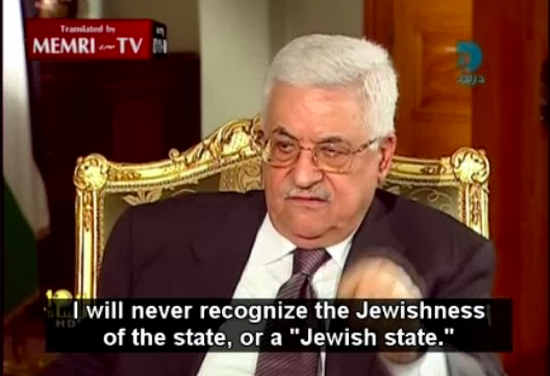 What Abbas is talking about is the 1948 Armistice lines. (Red line on the first map). These are not borders or legal lines but rather the lines that were drawn after the Arabs realized they lost the 1948 war. There are absolutely no legal basis for these lines and they are not borders in anyone's book. Even if there was a legal status to these armistice lines, they have absolutely nothing to do with the Palestinians as never did these lines include an Arab territory or anything called Palestine. To sum it up, IF Abbas is planning on announcing he accepts the right of a Jewish State and demands a deal based on the 1967 lines, what he is really doing is finally admitting the truth when it comes to Israel and attempting to make one up when it comes to the Palestinians. What will the UN do? Blame Israel, of course. For ... whatever. SHARE the knowledge with your friends and family!